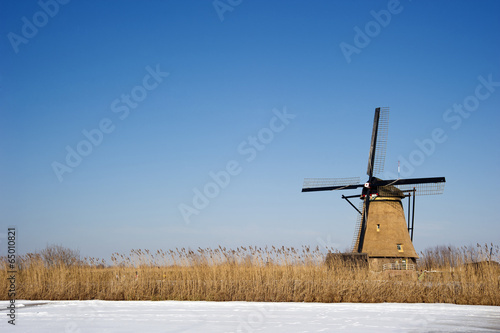 A windmill on a field looks like a free bird. It spins to the rhythm of wind regardless of everyday life obstacles. Would you like it to stop for a moment and tell you great stories? The photo wallpaper depicting the Netherlands landscape is a perfect way to complement your house with.